This lecture delivers extensive information about the topic Cortical and Brainstem Motor Control. Section one is about Functional Areas. 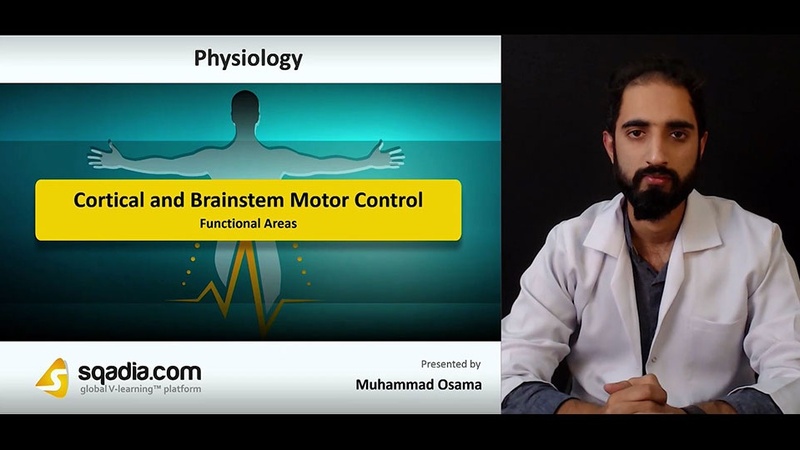 In the beginning, the educator talks about Functional Areas of the Cerebral Cortex and demonstrates Primary Motor Cortex. 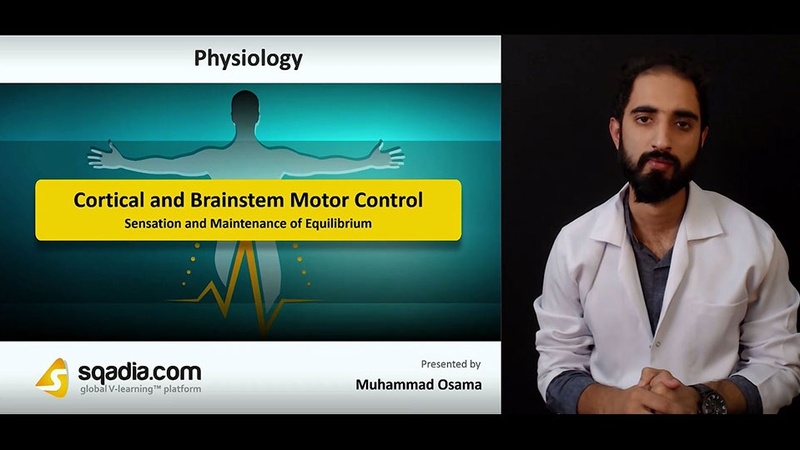 He further discusses the Premotor Area and elaborates the Supplemental Motor Area in detail. Degree of Representation of Different Muscles-Motor Cortex is then explained in detail. In the end, the Specialized Areas of Motor Control were elucidated. Section three is about the Incoming Signals to Motor Cortex. Initially educator describes the concept in depth then Sensory Feedback for Motor Control is demonstrated. The educator also comments on the Excitation of Spinal Motor Neurons, Excitation of 50-100 giant pyramidal cells  cause muscle contraction. Subsequently, the Upper & Lower Motor Neuron Lesion are pursued. Lastly, the Lesions of Motor Cortex were highlighted. Section four deals with the Motor Control of Brainstem. Firstly, the educator gives an overview regarding the Control of Motor Function by the Brainstem. After that, the Orientation of Brainstem Nuclei are introduced. Pontine Reticular Nuclei, Medullary Reticular Nuclei and Vestibular Nuclei are also discussed in this section. Role of Brainstem Nuclei and Support of the Body Against Gravity are elucidated in the end. Section five imparts detailed information about Sensation and Maintenance of Equilibrium. First of all, the The Vestibular Apparatus is explained. The educator then explains the Membranous Labyrinth. Next comes the Maculae – Sensory Organs, which is followed by explanation of Maculae. After that educator explains the Directional Sensitivity of Hair Cells – Kinocilium. In the end of this lecture, Semicircular Ducts is comprehensively discussed.